Perfect Gifts for Library Lovers! 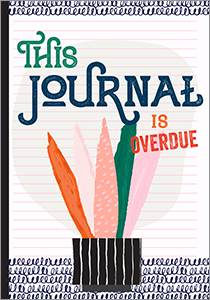 Find just the thing for your favorite librarian, staff member, colleague, or bibliophile. And remember: your purchase supports the mission of ALA by helping to fund advocacy, awareness, and accreditation programs for library professionals worldwide. Get your creative juices flowing with this collection of witty and thought-provoking writing prompts specifically for library lovers. 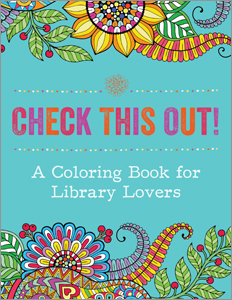 This delightful coloring book will have library lovers everywhere casting aside the day’s stress in favor of pens, crayons, and colored pencils. 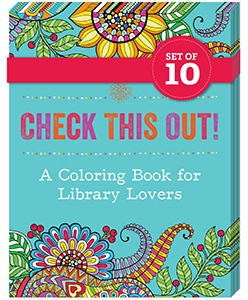 Inside this book you’ll find a variety of coloring pages meant to trigger a smile and invigorate you, and like the items in the library you love, the pages are arranged according to Dewey Decimal numbers. Buy more and save with this specially-priced bundle of 10!